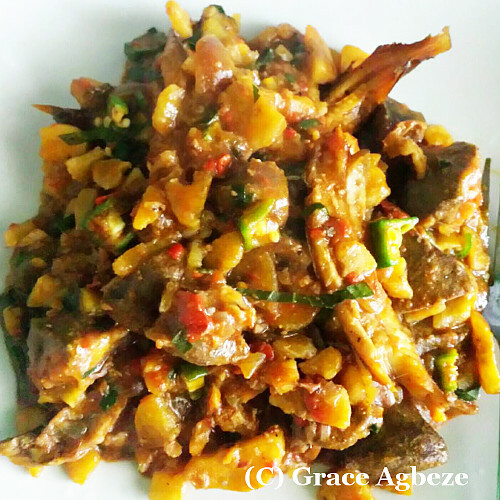 I love Okra so much and when Grace posted her appetizing meal on my Facebook page, I got interested because I saw okra and smoked fish. 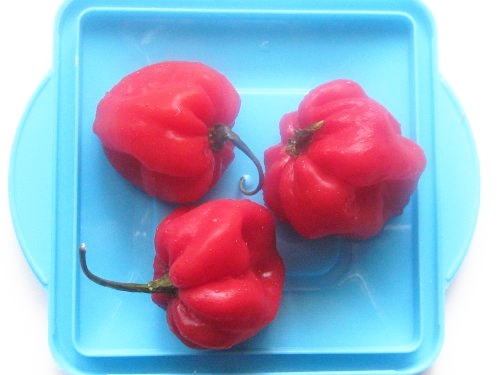 These two are Nigerian ingredients that I cannot waka pass (pass by). Grace was not on hand to tell us how she prepared it so I took a closer look at the photo and decided to wing it. I am happy to report that it is so delicious! Much tastier than the usual Unripe Plantain Porridge. Feel free to adjust the quantities of the above ingredients to your liking. I highly recommend red onion for this Okra Plantain Porridge. I did not add crayfish because two big smoked fish are more than enough. Adding crayfish will be an overkill on the fishy taste but you can add some if you wish. Go easy on the salt when preparing this meal because the smoked fish, stock cube and crayfish (if you decide to use it) all contain salt. I wouldn't even add salt if I add crayfish to this meal. If you do not have ugu, use one handful leafy spinach. I used spinach in the video below. 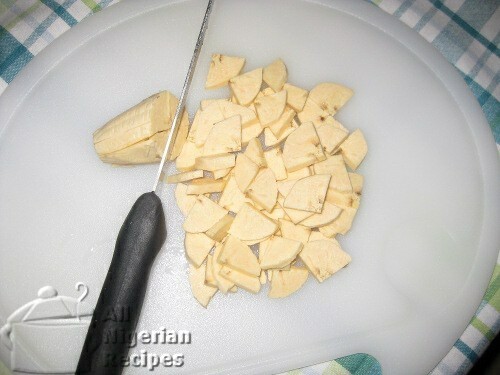 Wash, peel and cut up the plantain as shown. Rinse and cut the Nigerian pumpkin leaves or the spinach (if that’s what you are using) into small pieces. 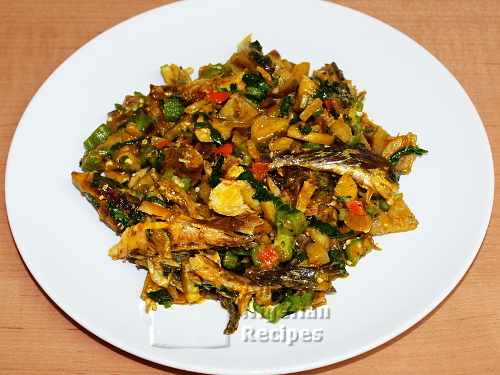 Debone the smoked fish and break into small pieces. Cut the pepper and onions into tiny pieces. 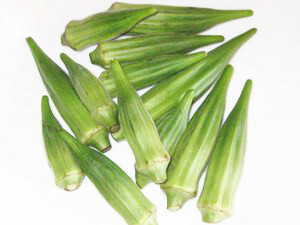 Cut the okra as shown in the video below. Put the cut plantain in a pot. Add the smoked fish, stock cube and the chopped onions. Pour water to just under the level of the contents of the pot. Add palm oil and start cooking on high heat. Note when it boils and cook for another 10 to 15 minutes or till some porridge starts to form. Keep an eye on it and reduce the heat if it starts burning. Add the okra and habanero pepper and cook for 1 minute or till it boils again. Add the vegetable, stir and take it off the stove. Cover and leave to stand for a few minutes before serving. Serve with a chilled soft drink.